Pazham nirachathu is another malabar dish and is a part of Ifthar party. 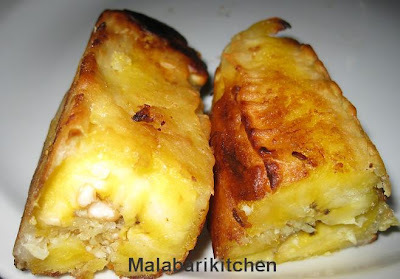 This is a very tasty snack with coconut filling and dipped in maida batter. It is a very healthy snack for kids. 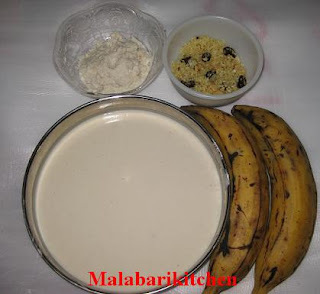 =►Mix grated coconut, cardamom powder and sugar. =►Heat 2tsp of ghee in a pan and put above coconut mixture, cashews and raisins. =►Saute it for 2-3min and leave the mixture to cool down. 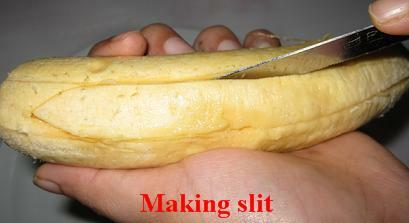 =►Mix maida (4stp), rice flour, salt along with 2-4tsp of water and make thick paste. 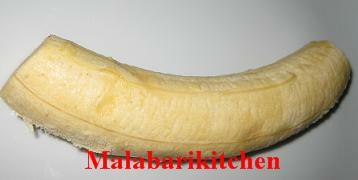 =►Mix together maida ( ½ - ¾ cup), sugar ,turmeric(optional), cardamom powder. 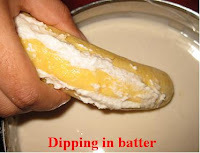 =►And add enough water to make thick batter. 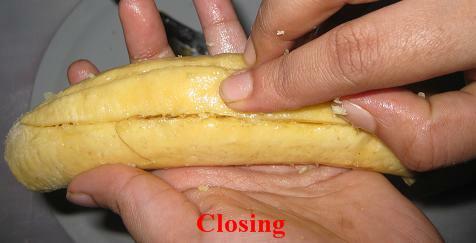 =►Make a slit in banana (centre of banana) and another slit between 2inch width as shown in the picture. 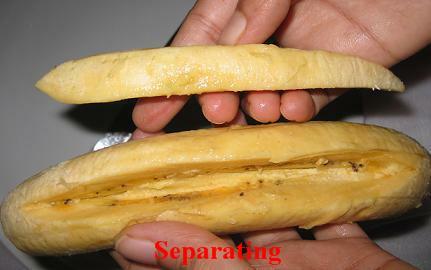 =►separate that Piece from the banana and put filling mixture into that (2-3tsp) and cover it with the same piece what we took before. 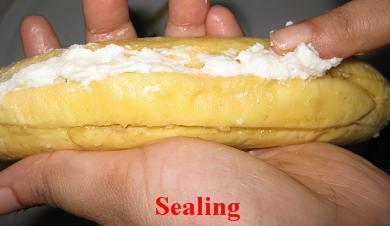 =►Then seal the gap with thick maida paste. =►Now dip whole banana in batter and fry it very well. woowww.. wonderful dish and super explanation to it. very tempting snack.